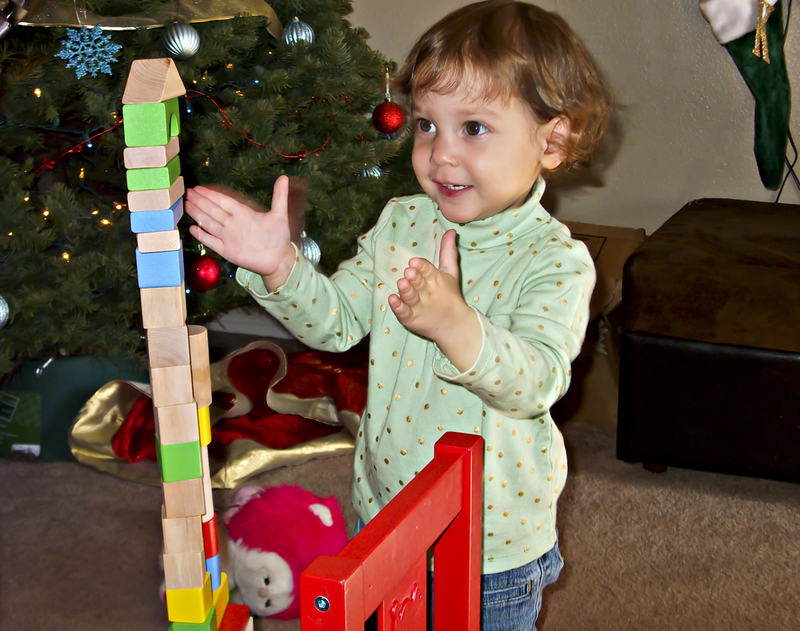 Afton and Rudy were building a tower of blocks on Afton’s little red chair this morning. It was super cute to watch, because Afton is extremely OCD about things being in perfect alignment, so she took her time to ensure she was placing each block exactly where it should be. 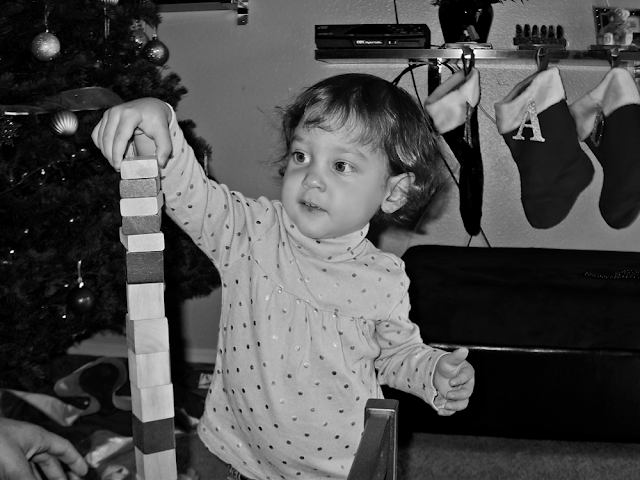 She was very excited to complete her tower, until Rudy knocked it down and she FLIPPED OUT. She quit playing after that, just to spite Rudy.